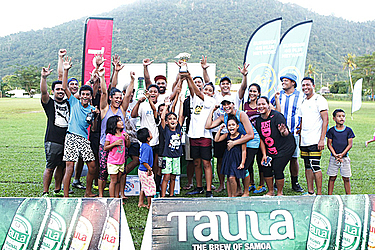 As part of the 56th Independence Day celebrations, Samoa Touch Rugby Inc. hosted the Independence Day Touch Tournament on Saturday 2nd June at the St Joseph’s College fields at Alafua. The social grade tournament was a great success with 14 teams vying for the title. After 7 rounds of pool games, the Pace Makers, Bumble Bee, Team Sparkle and Heat Rasch advanced to the semi-finals. Both semi-finals were thrilling matches that went into drop off, with Heat Rasch and Team Sparkle overcoming their opponents to book a place in the Cup Final. In the Plate final Bumble Bee secured the title beating Pace Makers 2-0. The Cup final was a great match between Team Sparkle and Heat Rasch, both of which were family teams. With both teams displaying great speed and talent during the match, Heat Rasch managed to hold on to claim the title beating Team Sparkle 2-1. During the prizegiving, the awards were presented by Alberto Schreiber (Taula Beverage Company Sales Representative), Joseph Faolotoi (Naydith Events Hirage), Lupe Solofa (the Bean Café Samoa) and Greg Hazelman (Samoa Stationery and Books). 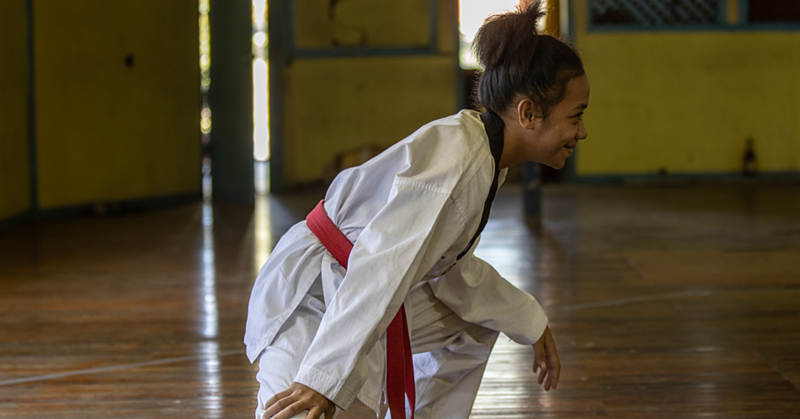 There was a great mix of teams who participated in this onedayer, ranging from family teams to church youth teams – the talent displayed by new players was amazing and with the Touch World Cup and Pacific Games coming up next year in 2019, trials for a spot in the national team will be very competitive. S.T.R.I. would like to acknowledge Samoa Red Cross General Secretary Namulauulu Tautala Mauala and the team for their support and services at the Independence Day Touch Tournament as well as Br. Iulio Suaesi, Principal Susitina Levao and Asolelei Tolovae of St Joseph’s College for their support and hosting our tournament at the SJC grounds at Alafua.